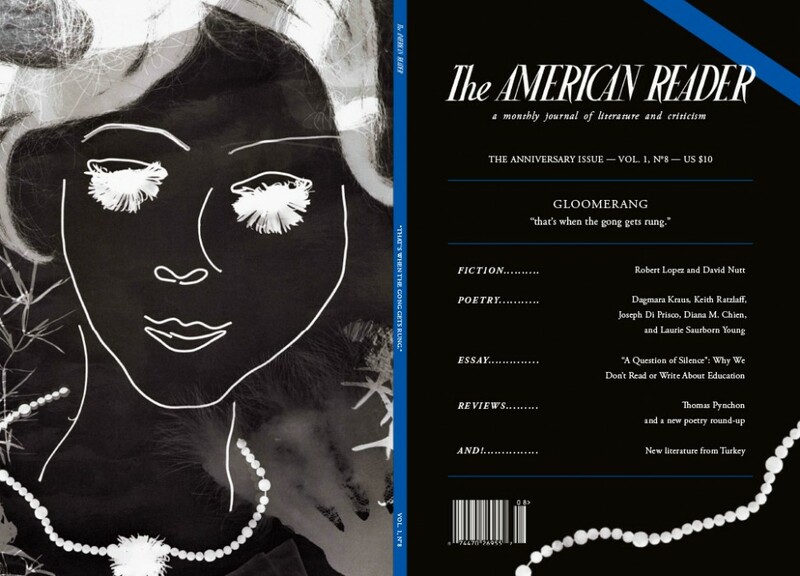 + New Poetry from Diana M. Chien, Joseph Di Prisco, Keith Ratzlaff, Laurie Saurborn Young, and Dagmara Kraus’ “Gloomerang”. + Short stories by Robert Lopez and David Nutt. + An essay on the state of modern education by Houman Harouni. + Literature from Turkey: A selection of poems from Turkey’s Garip Movement, a poem from İlhan Berk, and a short story from Ersan Üldes. + Book Reviews: on Thomas Pynchon‘s Bleeding Edge and a new poetry round-up.